Standing 1.88 meter high, Federico Falcone is larger, when looking at the average height in his team. The Spanish forward Federico Falcone joined his current team, Boavista FC (Portugal), in July 2018. He was used in 19 of the matches in the present term. Stunning 80% of Boavista FC's football players are right footers and so is Federico Falcone. He is one year older than his team's average age, as he was born on 21.02.1990. In Primeira Liga (Portugal), Boavista FC is in 14th position. 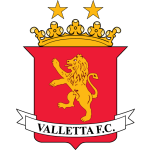 Premier League 15/16 (Malta) has been Federico Falcone's best season so far since he scored his personal highest amount of goals. 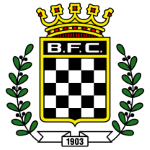 Boavista FC has nine more forwards in their squad, namely Yusupha Njie, Matheus Indio, Gustavo Sauer, Jeka, Andre Claro, Mateus, Perdigao, Alberto Bueno and Rafael Lopes. Throughout his time as professional football player, he was sanctioned with a card only five times resulting in a mean value of 0.71 cards per play time. This season he was given just three yellow cards. Federico Falcone weighs 80kg which is 4kg more than his team's average heftiness. His shortest spell with a club currently counts ten months in his latest side. 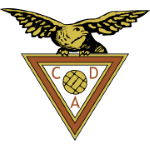 Before joining Boavista FC, he impressed at Newell's Old Boys, CD das Aves and Huachipato. 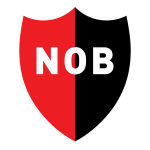 Federico Falcone's record stay with a club is Newell's Old Boys (Argentina) with two years and 11 months. Concerning the latest matches, his club lost in Primeira Liga. While being substituted more in than out this season, we can observe that this trend came from last season. Moreover, he shows nine out and 18 in substitutions in total. This season Federico Falcone scored three and assisted no goals which is 13.6% of all of Boavista FC's goals in Primeira Liga 18/19 (Portugal). On average, he hit the net 0.16 times per match this season which is a better performance than last year's. Back then 0.13 goals and 0 assists per match have been achieved. He received the number 28 tricot at Boavista FC. Throughout his professional career, he participated in 35 games, the last appearance being seven days ago.